Who doesn’t love a great view? 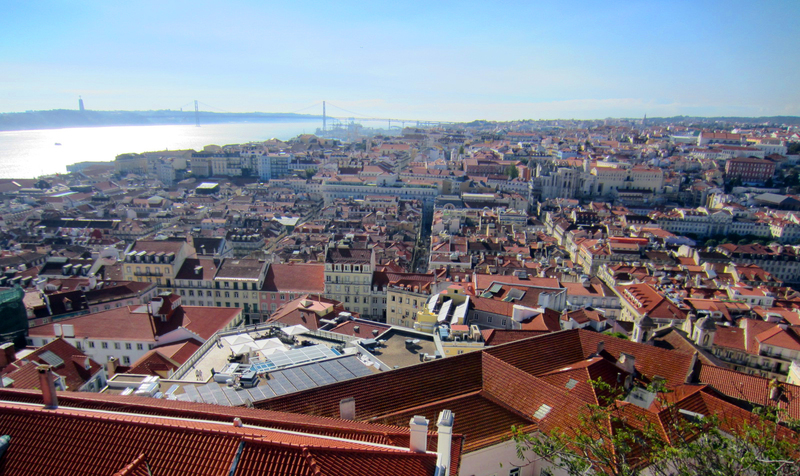 Especially when we’re talking about Lisbon, with its maze of winding streets capped by red roofs and wrapped in sparking blue water-meets-blue sky as far as the eye can see. 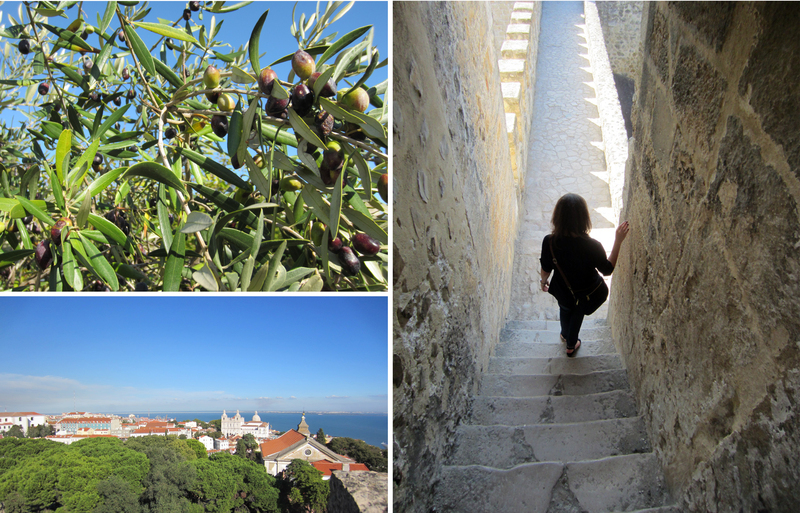 And the best place to take in this view is from the top of the São Jorge Castle. Located in the heart of Lisbon’s Alfama district, the castle was originally built as a Moorish fortification in the 11th century given its defensive position on a hilltop high above the city. Its transformation into a royal residence began after the Christians, led by Portugal’s first king Dom Afonso Henriques, conquered Lisbon in 1147. Structures were enlarged to accommodate the king and his court for the next several centuries, and many notable figures were said to be received here including Vasco da Gama after he returned from discovering the maritime route to India in 1498. Named after the Christian soldier and martyr St. George, the São Jorge Castle was transformed once again into military barracks after Portugal came under Spanish rule in 1580. Like much of Lisbon, it suffered significant damage after the great earthquake of 1755, but was restored and eventually classified as a national monument. Eleven of the castle’s towers still stand, creating a medieval playground for visitors today. You’ll find remnants of its past throughout the site like cannons and a statue of King Afonso himself, as well as a small museum with artifacts from the archeological site, giving us a glimpse into life during the castle’s heyday. By contrast, check out the 360-degree real-time periscope view of Lisbon in the Tower of Ulysses. Another unexpected highlight is all of the peacocks and their young roaming the garden grounds like they own the place. 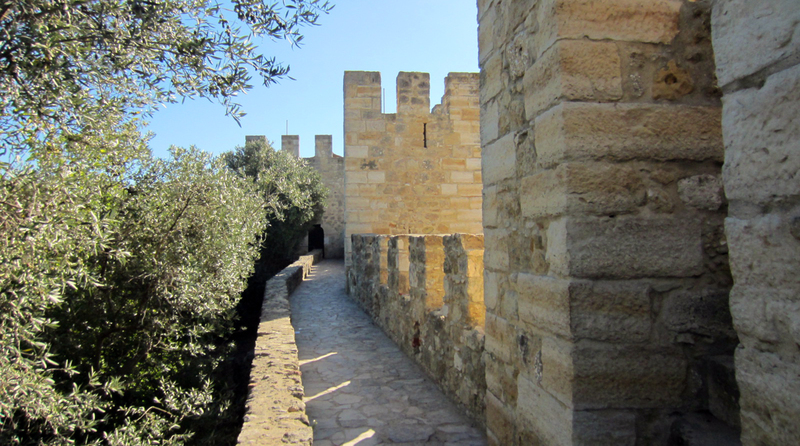 But my absolute favorite part was climbing to the tops of the stone towers and walking along the olive-tree dotted ramparts of the castle. Oh and then there’s that view.